Christmas and the holiday season are in the air and we are ALL joyful over this Peppermint White Chocolate Eggnog Mocha! I want to wake up to this delicious coffee every morning from now until December 25th because I need my eggnog fix! 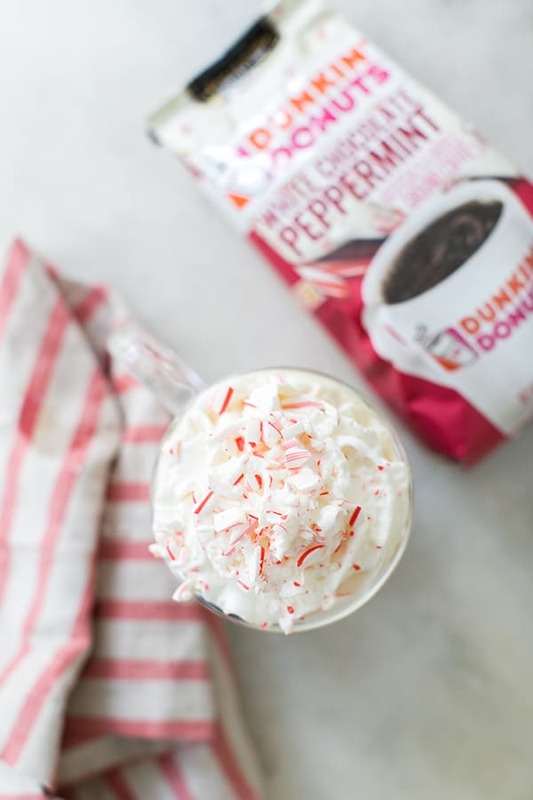 Eggnog is literally something we only drink around the holidays, so using it to make a brewed mocha using Dunkin’ Donuts White Chocolate Peppermint coffee was the best addition. I added in white chocolate morsels to sweeten it a bit and then topped it off with rich eggnog. This White Chocolate Eggnog Mocha is so good and the perfect recipe to enjoy while listening to Christmas music by the tree or a fire. I love this time of year! 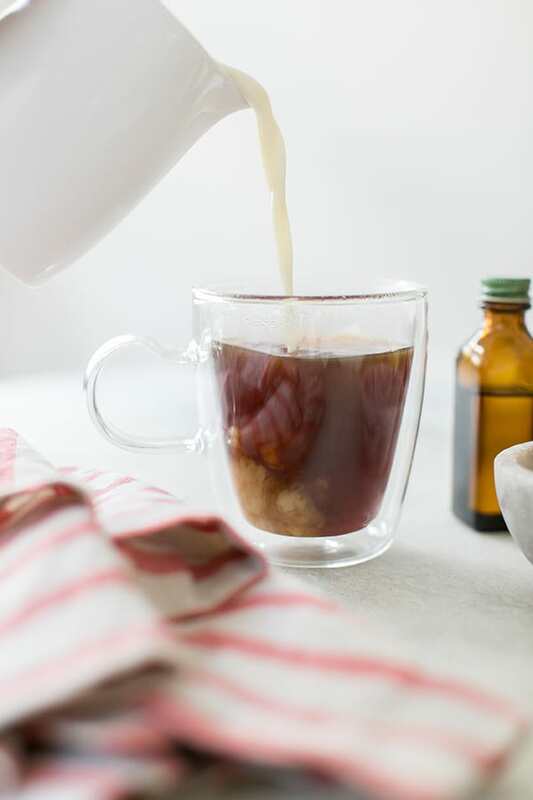 If you want to peppermint flavor to be more present, then you can add 1/4 teaspoon of peppermint oil to the drink. Hope you’re all enjoying the holidays and enjoy the recipe! 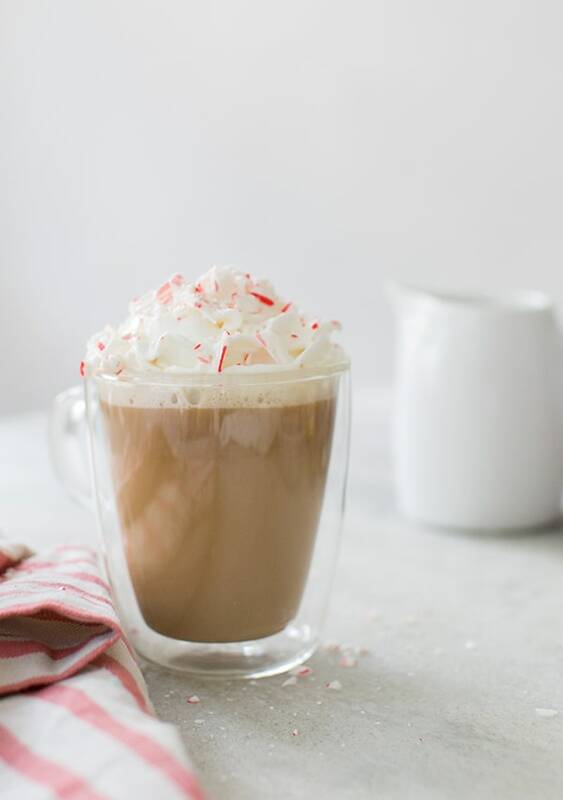 To make a Peppermint White Chocolate Eggnog Mocha you’ll need 2 cups heavy cream, 1 1/2 cup white chocolate morsels, 1 cup Dunkin’ Donuts White Chocolate Peppermint Coffee. 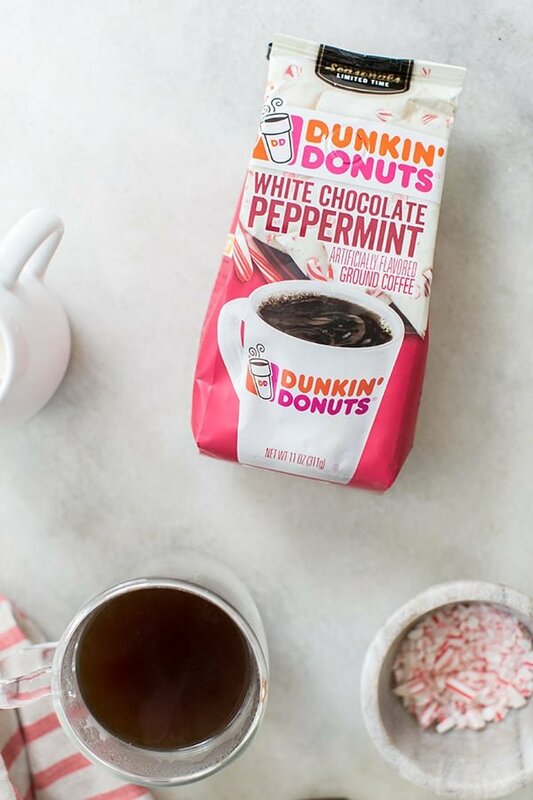 Brew a pot of Dunkin’ Donuts White Chocolate Peppermint coffee. Pour one cup into a mug and then add in white chocolate morsels. Stir until the chocolate is melted, then add in the eggnog. Top with whipped cream and enjoy!